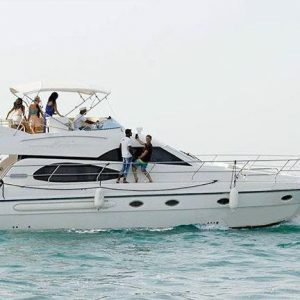 Rental Joy holds the most comprehensive fleet of luxury yachts in Dubai. Our boat rentals are ideal for organizing birthday parties, private events, and other celebratory get-togethers. We strive to equip our customers with all the necessary tools to relish the perfect day at sea. All our yachts on offer are regularly checked and meticulously maintained to ensure the safety of its travelers. Our team is composed of experienced professionals who can provide you customized results based on your requirements. 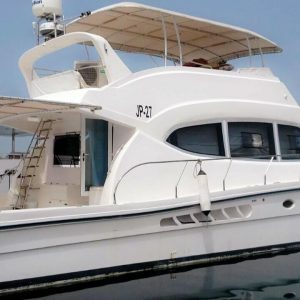 If you are eager to set sail on an unforgettable cruise with a professional yacht rental company in Dubai, Contact us today! So you’ve decided to throw your loved one a surprise birthday party? Why not completely blow them away with a party on a luxury yacht! Charter a luxury yacht from Rental Joy to gift yourself the fairy-tale wedding you’ve always dreamed about. Spend some quality time with your loved ones whilst surrounded by the serene blue sea. Our rental fleet consists of boats which are ideal for both small and large groups. Our fleet of yacht rentals are ideal for all types of corporate events such as conferences, anniversaries, office parties and formal meetings.